The new concept for NEC was able to convince the expert judges of ISE 2018 Stand Design Award. 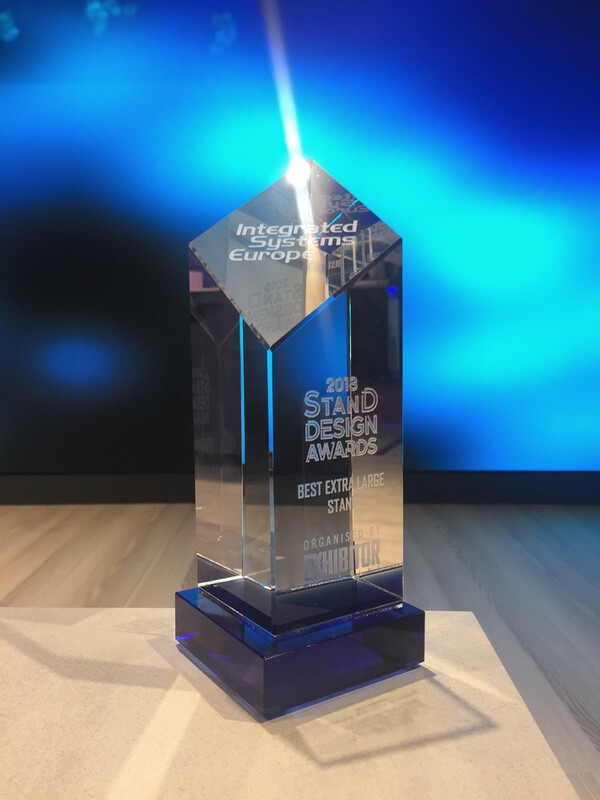 In the category “Best Extra Large Stand”, the fair appearance won the trophy, which is awarded on-site according to brand communication, effective design and realisation, clear organisation and wayfinding, colour and lighting design, and overall impactful presence. For the second time, the award was organised by renowned EXHIBITOR magazine.